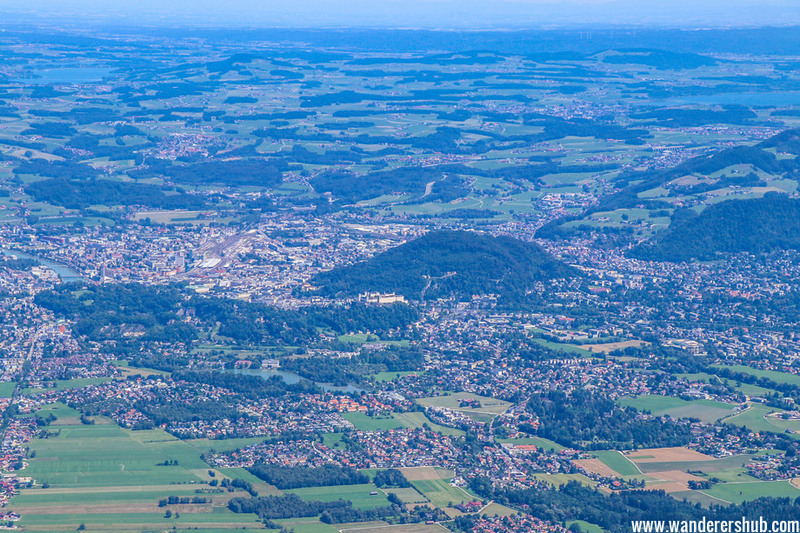 When Carl Zuckmayer referred to Salzburg as a “part of paradise”, he wasn’t kidding. 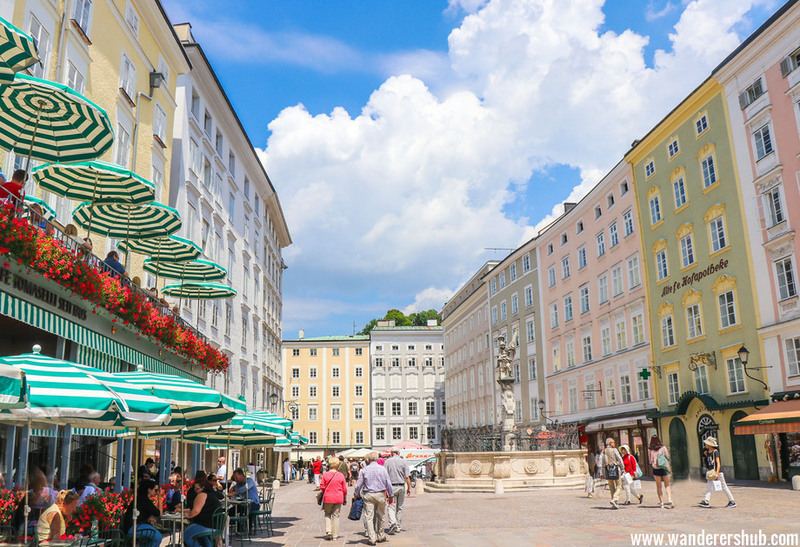 Of all things to do in Salzburg Austria, doing nothing might be the most rewarding! Maxims aside, Salzburg is a city that is charming, beautiful, and just so serene. The city enriches one’s visual cortex with very look they take around them. 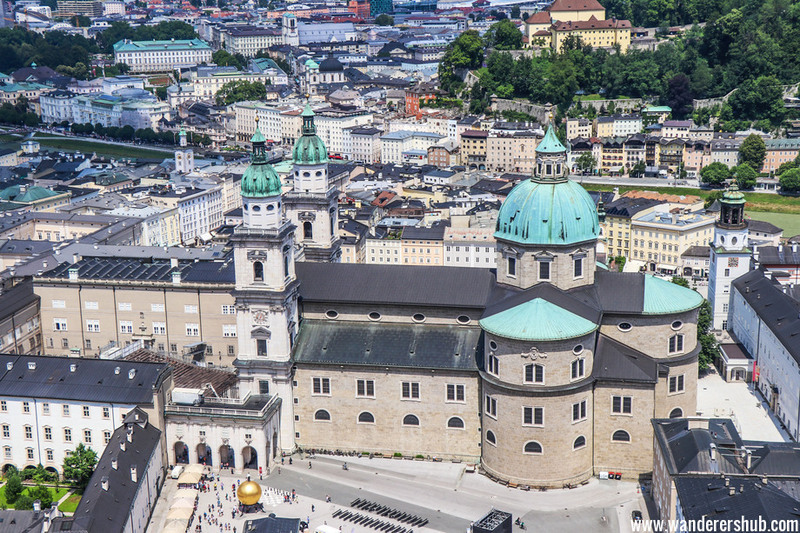 Full with lakes, mountains, and Alpine pastures, the city also offers much to the culturally inclined – a rich and fascinating variety of Baroque sculptures, buildings, and elegantly designed spires make Salzburg a formidable retreat. So no prizes for guessing that Salzburg is Austria’s one of the most frequented tourist destinations. 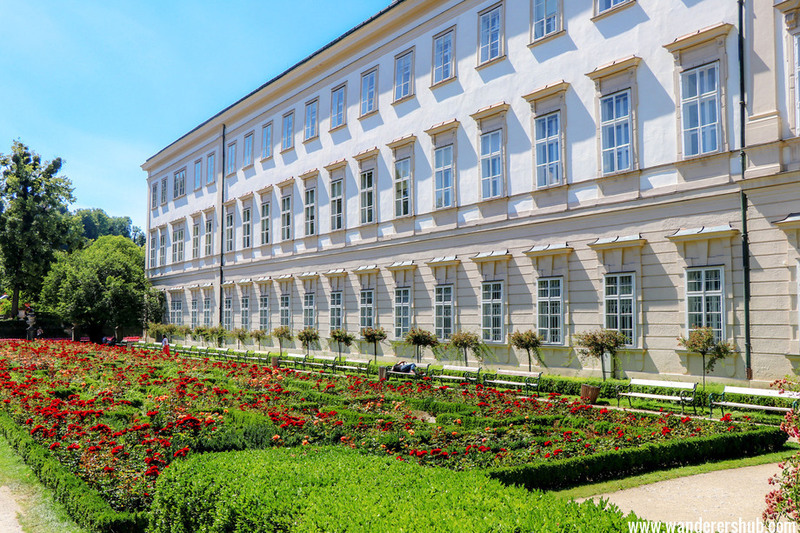 Apart from having been the birthplace and residence of Mozart, this quaint city has a classical Baroque feel to it that draws musicians and tourists alike, no matter what time of the year it is! For musicians, however, Salzburg is a Meccan getaway. Every evening, coffee houses on the cobbled streets in the city come alive with amateur and professional performers who seem lost in other worldly pursuits, carrying their instruments around and infusing the air with an unshakeable energy. 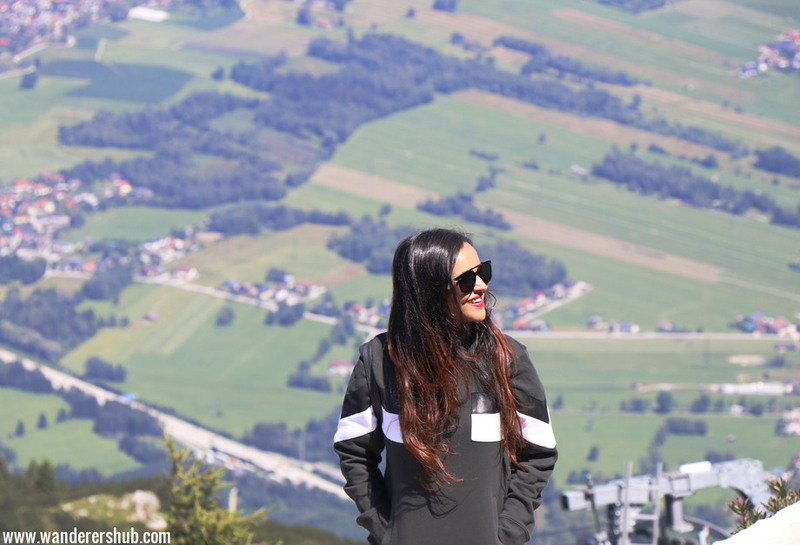 What we LOVED about Salzburg Austria? If you aren’t sure of what to do in Salzburg, check out our detailed guide and see for yourself! 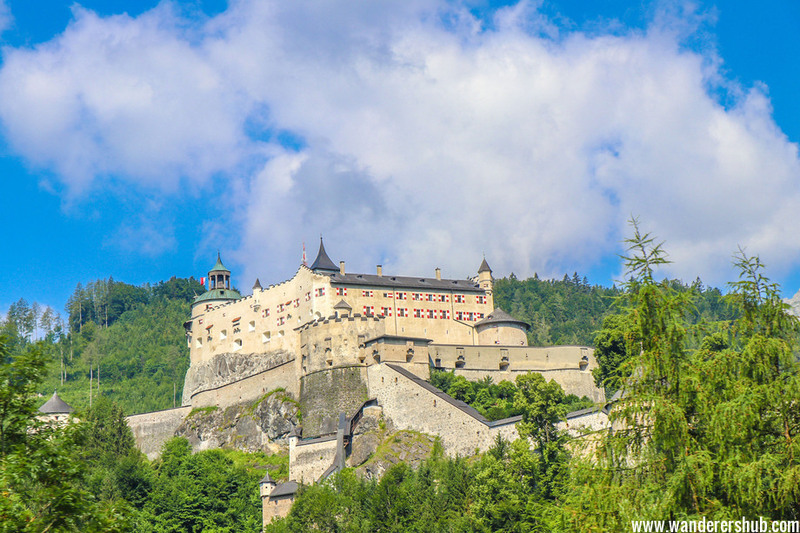 Not only is this the largest preserved castle in Central Europe, the Hohensalzburg Fortress boasts of never having been invaded by foreign troops since it’s inception in 1500. The massive structure sits atop a small hill and is visible from miles away. Try visiting the Fortress at 11-ish on a Sunday morning, and you’ll hear musicians perform the “Trumpeter Tower”, sounds of which resonate in the Old City below. 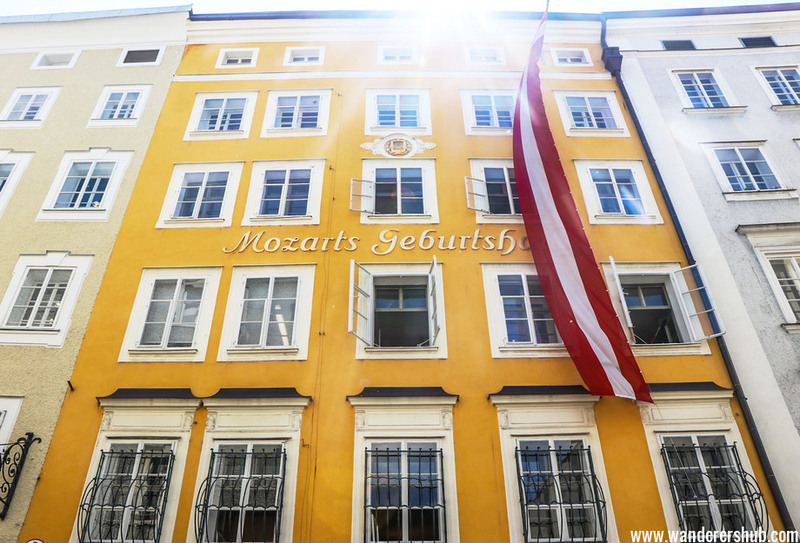 The heart of the Old City, or the Getreidegasse, is also the birthplace of Mozart. The busy streets today are bustling with shoppers feeding on the chain of high street fashion merchandisers, apart from locals wandering around at coffee houses, restaurants, and pubs. If you look closer, you may also see a number of aged businesses set up shop in the area. Experience the Salzach like you never have before! The ‘Amadeus Salzburg’ is a modern cruise boat that can carry 68 passengers on a trip. 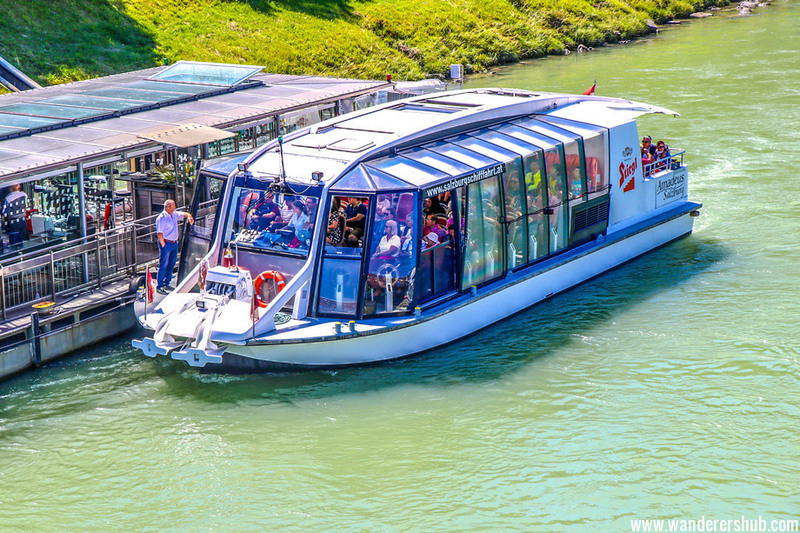 Of all the things to do in Salzburg, gazing out of this plush cruise with panoramic windows might be the most thrilling! This pedestrian bridge is the best way to commute to the Mirabell Palace from the Historic City Center. 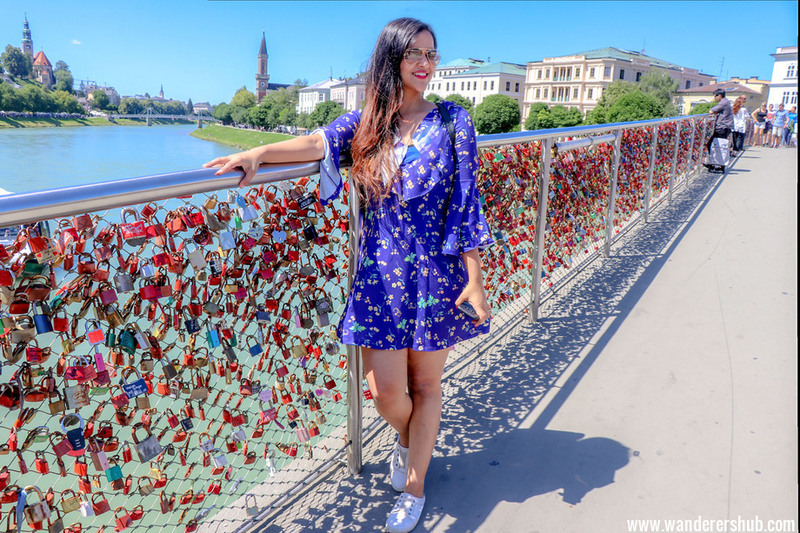 Though the bridge itself gives breathtakingly beautiful views of the Old City, the Hohensalzburg Fortress, and the reclining Alps in the distance, the innumerable love locks on the bridge are a sight to behold too. 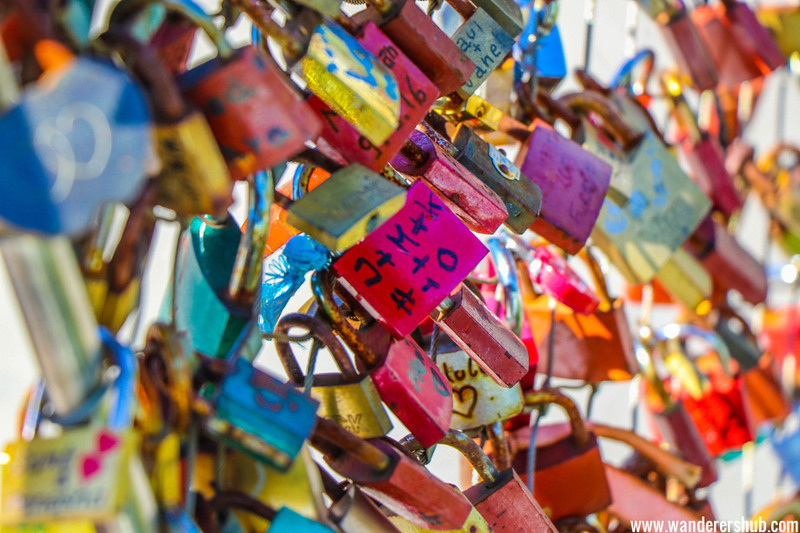 If you’re feeling cheesy, you could lock your love in too! Posing even when tired, this girl! Mozart was born in 1756 at a modest residence in the Old City. Today, the humble quarters have been refurbished as a museum. The interior houses many 18th century artefacts aesthetically designed and placed, to give one the impression that they have been transported back in time! You might want to spend a few minutes looking inside at leisure, post which we recommend having a look at the outside! The street houses are vibrant and lively, especially when tourists are in town. 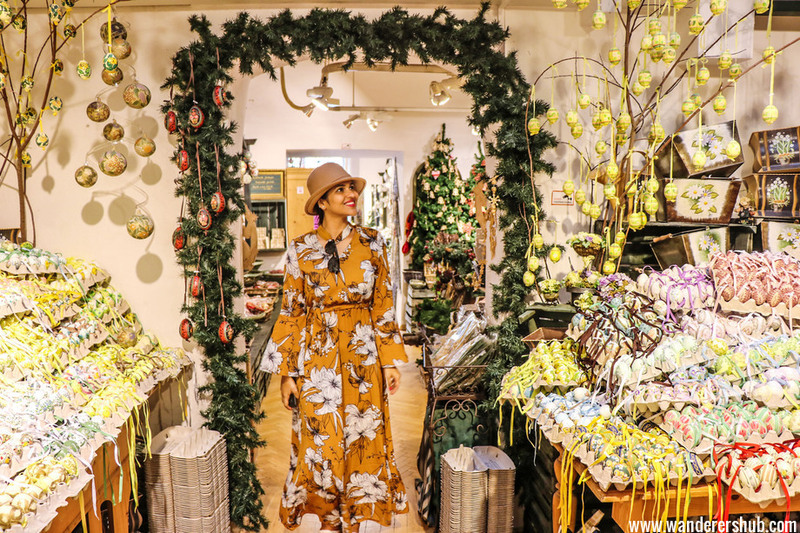 A leisurely break can quick turn into a shopping spree when in Salzburg, leaving the participants invariably glowing and unapologetic for the spree. You may also choose to sit around in one of the coffee houses, check out it’s history, and spend the evening observing the rush around you! Remember to dig into a freshly baked apple strudel too! Also, don’t forget to buy a souvenir of Salzburg as the memories of this gorgeous place are to be cherished for a lifetime. This meadowy expanse lies on the top of one of Salzburg’s most cherished mountains, Kapuzinerberg. 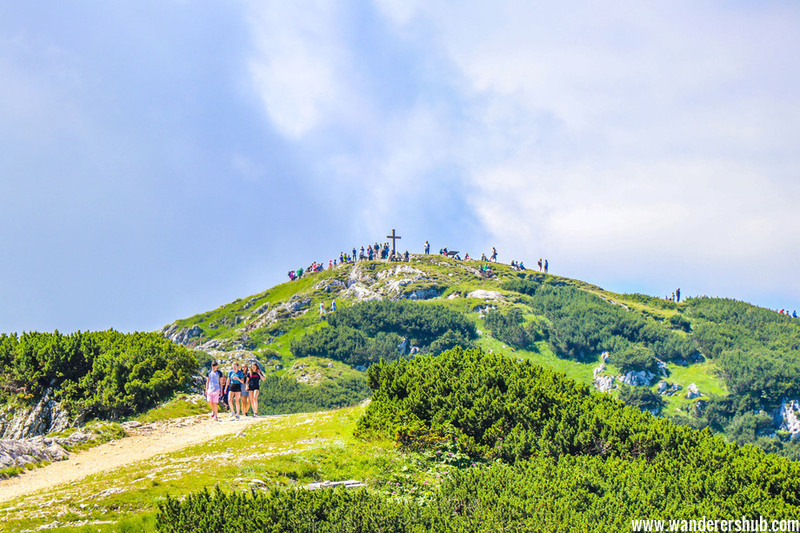 To reach this oasis, hike along Linzer Gasse to Stefan Zweig Way, and continue on steep narrow lanes ahead till you reach this quiet summit. Sunny or not, this is perfect for a day’s retreat! 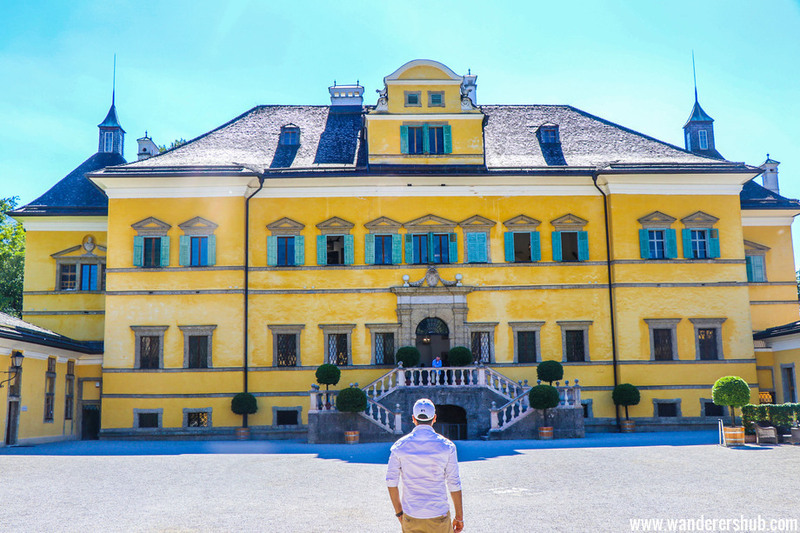 The Hellbrunn Palace is a villa built in the Baroque style. Though the palace itself does not offer a lot to the curious visitor, you might get a kick out of the fountain show, so stick around! 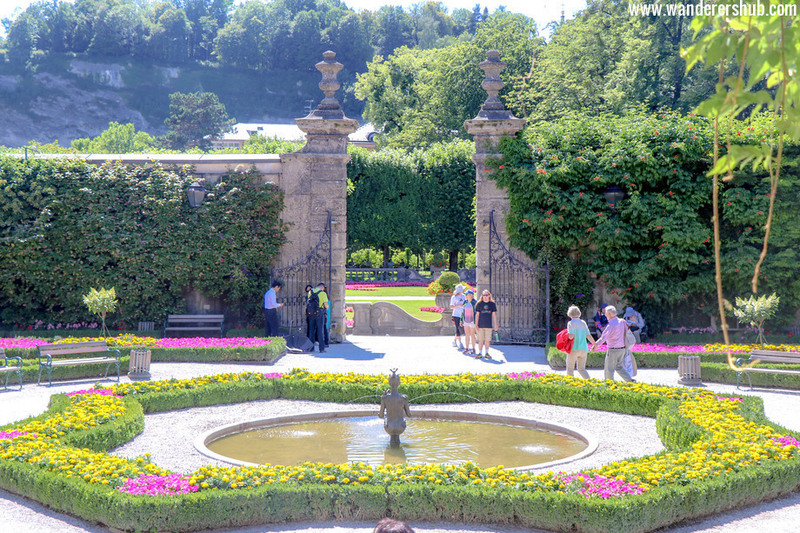 Most Salzburg travel guides give this a skip, but we think the fountains are worth a watch! The Mirabell Palace and Gardens are a recognized UNESCO World Heritage Site, and for good reason. The palace’s central banquet hall was long recognized as the most splendid of all banquet halls in the world. Home to a number of musical quarters and diplomatic offices, the Palace is now open for weddings and other occasions. The Garden sports a number of fountains in Baroque style. This might be one of the best things to do in Salzburg Austria. 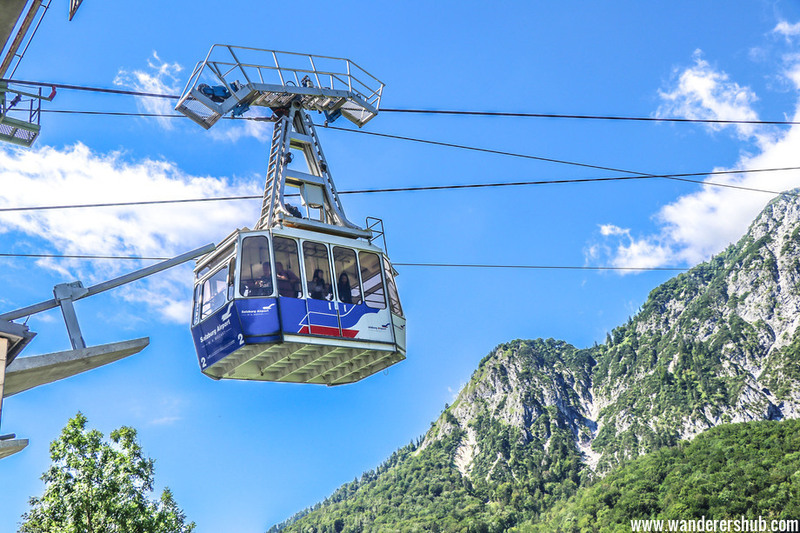 Ride this cable car to the top of a peak and view Salzburg from the perspective of a bird! Operational since 1961, the cable car witnesses huge crowds during peak season, so it might be best to pre book your tickets. We had to wait for almost 25-30 minutes to ride the Untersbergbahn. And almost everyone around was having the Salzburg travel card so we didn’t get the express entry either. But I assure you – it’s worth the wait. This girl is having all the fun, right? Top of Untersberg Salzburg – serene! You can plan a visit to Hallstat in Autumn. A one-day break from Salzburg to Hallstat is a good idea. The castle is as majestic as it can be. 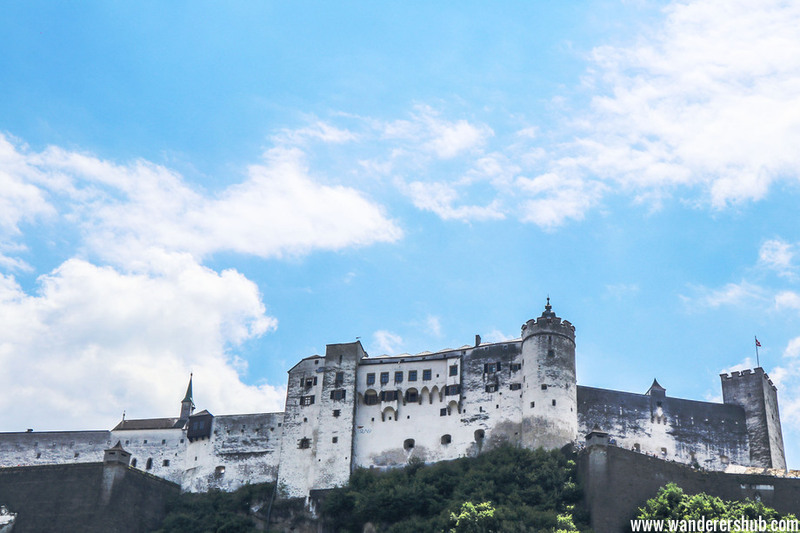 Perched high above between the Tennen- & Hagengebirge ranges, this 900 years old rock castle makes for a great day-trip from Salzburg. It’s about 40kms drive from Salzburg. 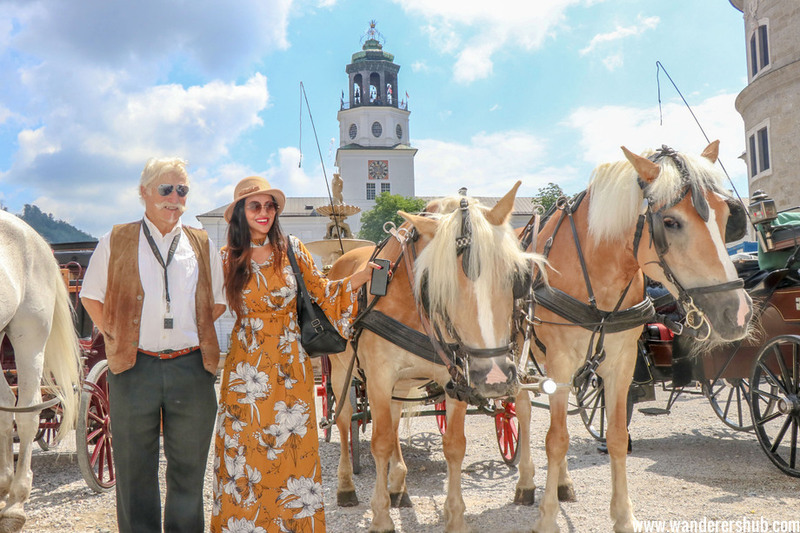 There’s no better way to discover the old-world charm of Salzburg but on a horse drawn carriage. You’ll enjoy being chauffeured through the beautiful city like a royalty on these carriages which once served as a transportation mode for the prince-archbishops. Well this one is an absolute must visit for travelers as tech savvy as Harsh. Take a break from the historic attractions and enter the world of racing cars and airplanes. As you enter the futuristic glass dome, you get to see cool airplanes, space equipment, formula racing cars, and what not! 1. The overall vibe of this romantic city. It seems like it has come straight outta fairytale book. 2. Prancing around the city in general. Discovering the local attractions and gelling with the local people. 3. View from the top of HohenSalzburg Fortress. INCREDIBLE. 4. Pastel coloured buildings along the Danube River promenade. 5. 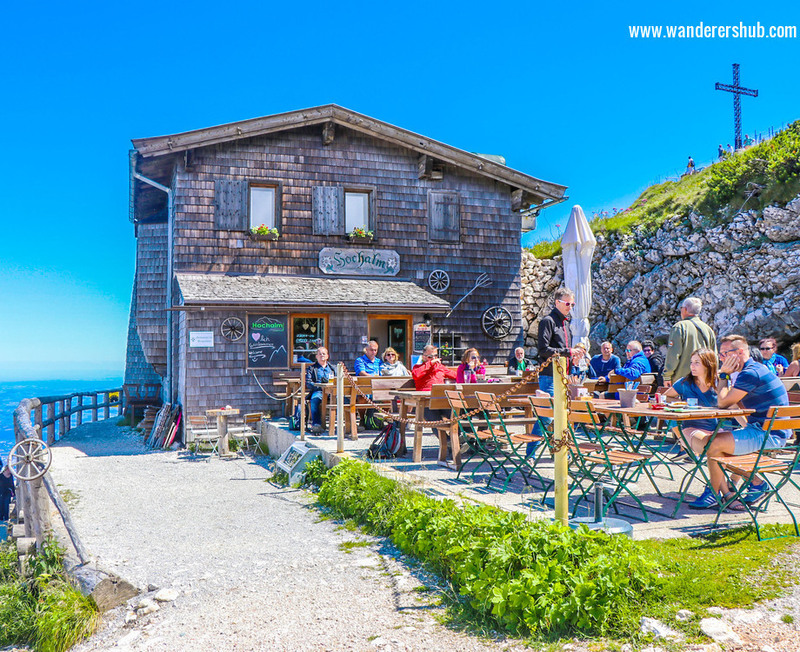 UNTERSBERGBAHN ride – Our most favourite of the list. 6. Accommodation in the Alpine setting and waking up to a tranquil environment. Simply priceless. Well if you are short on time and cannot do all the things we did on our trip to Salzburg, just try and do the ones we loved the most. 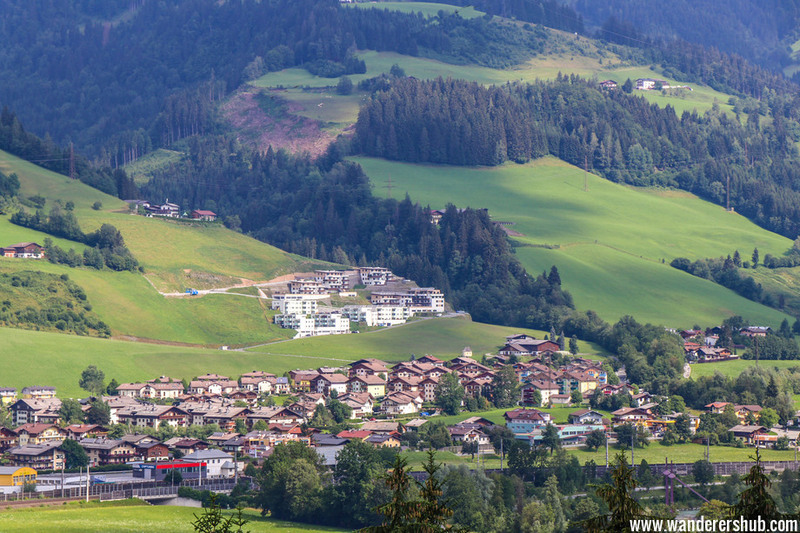 You will surely fall in love with Salzburg and crave for more. But if you have 3 days and are doing a road trip like we did – just do all of these. 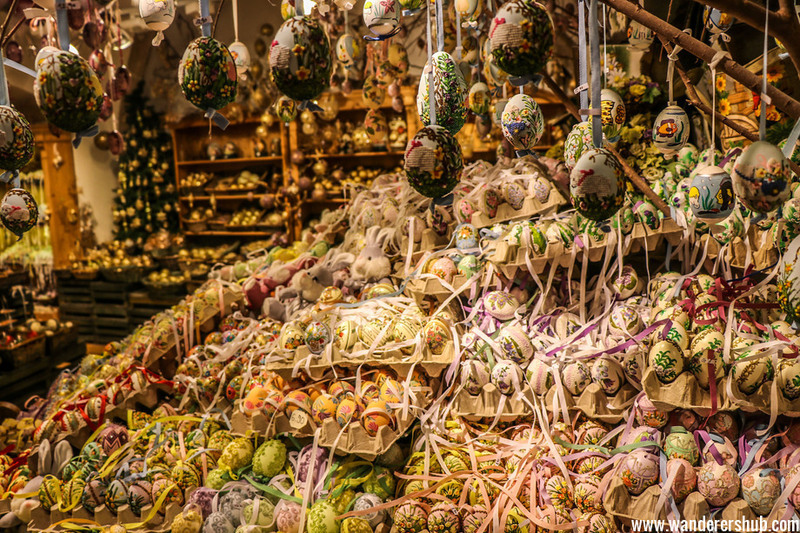 Salzburg is best visited during the summer, although Christmas assumes the status of a magnificent festival, complete with decorations on an epic proportion. The fast flowing Salzach river accompanies the Christmassy vibe downstream, carrying festivity to every part of the city. Think we’ll be back for the Christmas then. 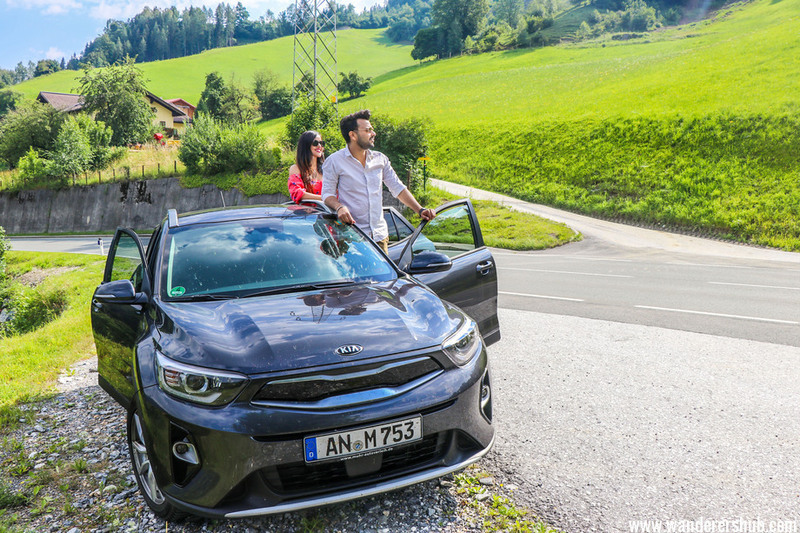 Sightseeing in Salzburg is incomplete without leisurely driving around the city and soaking in it’s old world charm. 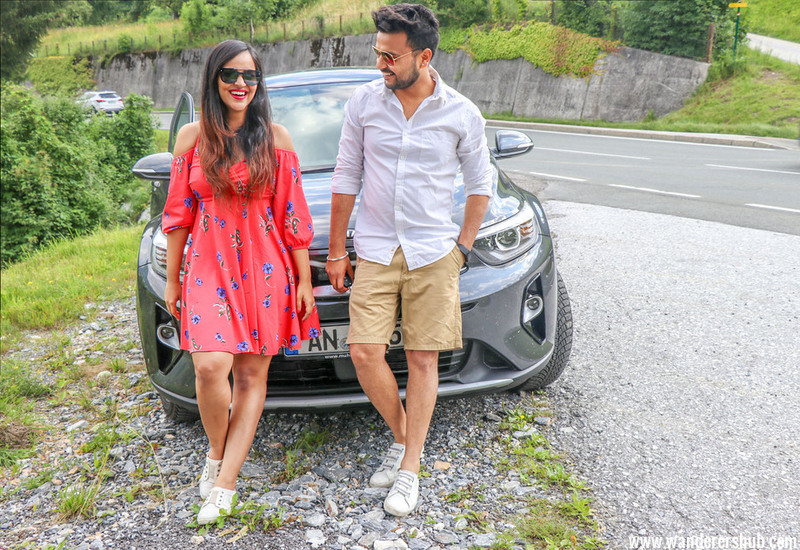 If you are travelling to Austria via road, like we did, it’s best to drive on further and stay at the Alpine region- the Alpine Park Apartment was our choice of stay. Frankly, your trip to Salzburg would be incomplete without visiting the Alpine Valley & experiencing it’s sheer serenity. 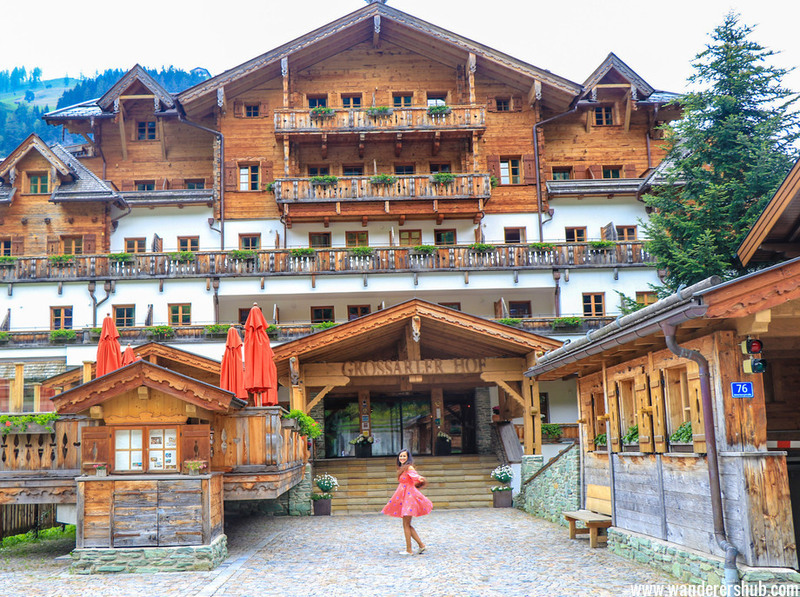 We loved every moment of our stay at the AlpenPark Salzburg and will highly recommend the hotel to all the visitors. The views are incredible. I can only imagine how utterly gorgeous it would look during the winters. 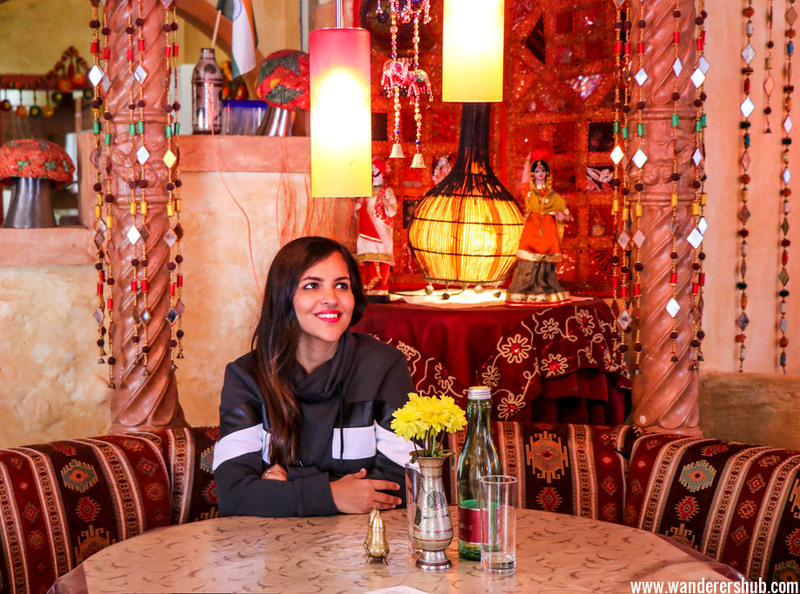 Wherever we go, this has to be on the list – Indian restaurant in Salzburg. Yes, we do not like to be too adventurous with our food choices and play safe. 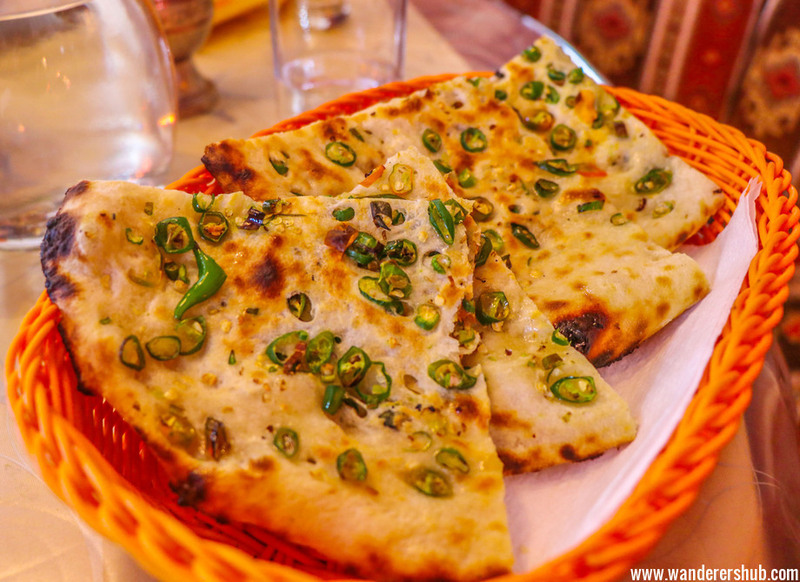 Thus, we have to try eating at various Indian restaurants around the world. 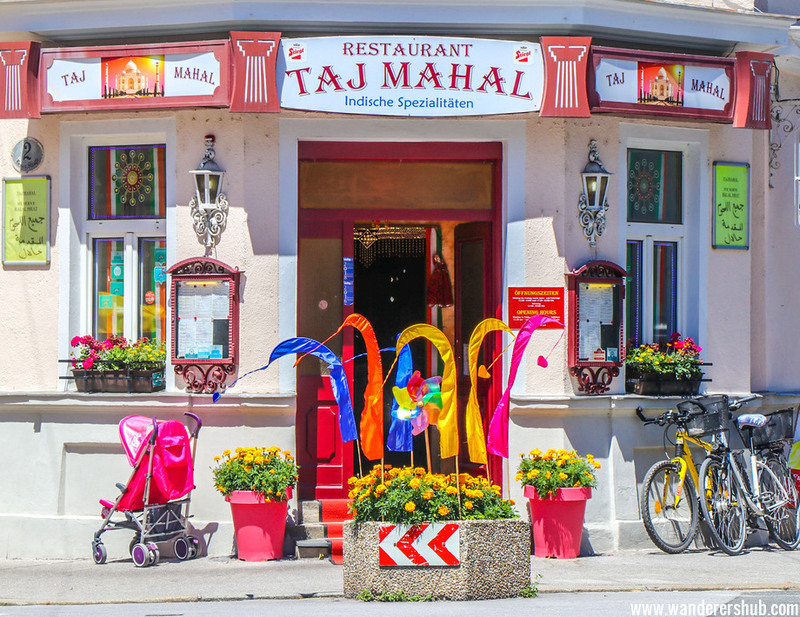 We ate at three different Indian restaurants in Salzburg – Indian Restaurant Taj Mahal, Imti’s Gastronomie GmbH and Hana’s Rasoi. Well, I would recommend everyone to try eating at Taj Mahal and Imti’s for delectable Indian meals, especially samosas and mango lassi. Skip Hana’s Rasoi as the food is pretty average and the staff isn’t friendly either. We especially loved the ambiance of Taj Mahal Restaurant and it was easier to find free parking around as well. 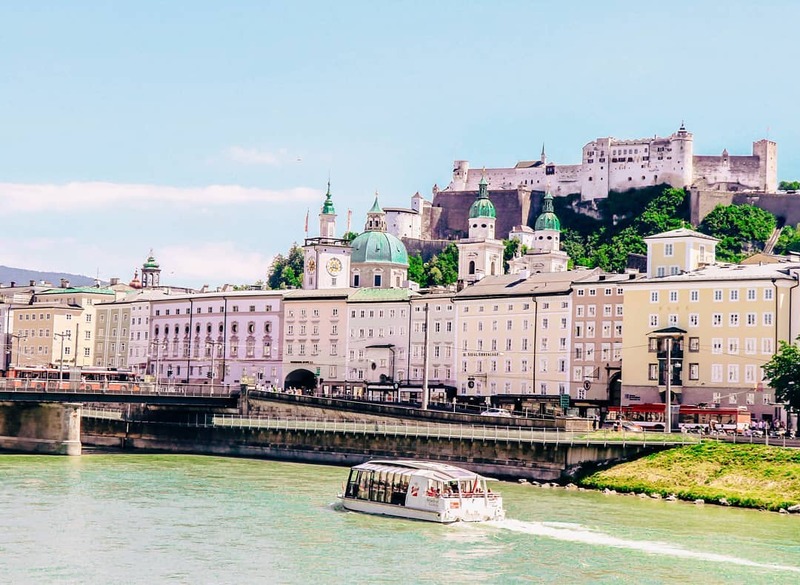 Some of the best things to do in Salzburg Austria are impossible to see in a day, which is why we recommend spanning your visit out for a couple of days and getting a Salzburg travel card. You can explore this cultural locus at your own pace with a Salzburg travel card that lasts for either 24, 48, or 72 hours! Ditch the long queues at the ticket counters of prominent Salzburg attractions and get an express entry in a hassle-free way. You can use the public transportation for free that includes buses and trams. In any case, we highly recommend you to take this card and explore Salzburg on your own pace. Check out more. I was here years ago and I loved it. I want to go back. Your photos are incredible. If I do go back, I’m going on The Sound of Music tour. I would love to visit Austria someday. It looks like you guys had an amazing time. So many beautiful pictures! those green expanses, it’s a beautiful and colorful place. 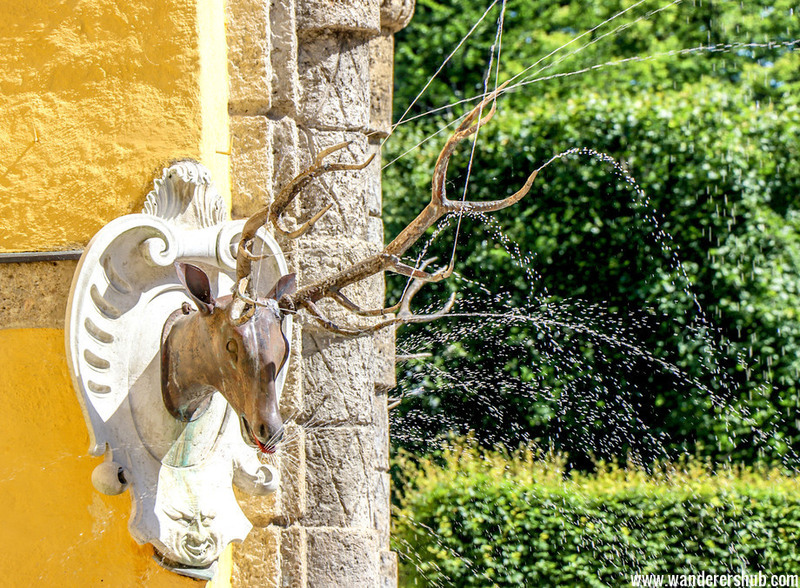 The deer head fountain is interesting. I am curious about the fence full of locks. Is there any story or any belief of lovers behind this? The boat ride looks so fun. I am also amazed at all those locks. I really love the place! How I wish I will go there someday! nice photos Iove it! Eurotrip is not on my mind as of now, but Salzburg looks like a fun place to spend a vacation in future. I always wanted to visit Mozart’s place and those hand crafted Christmas decorations are something o would definitely love to have. Very nice post! Yes, those cute Christmas Easter eggs are everything. It was like entering Santa’s land for us. Just so magical. Oh, my this is like a dream. So lucky you guys are getting to do this. I remember my trips to Europe a couple of years back. I was something else. Someday when my daughter is a little grown up I’ll visit more of these places. Oh man. I haven’t made it to Austria yet, but it is definitely on my list. Well, every country is, haha. Thank you for this! 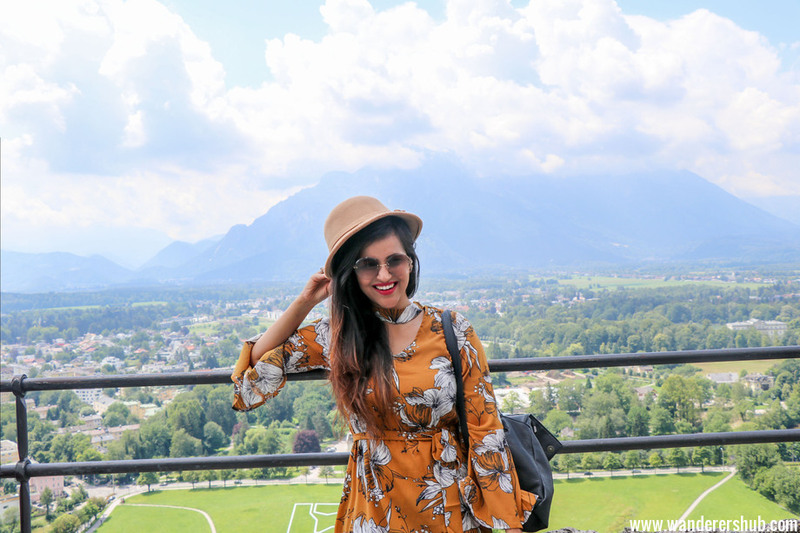 Actually I haven’t been to Salzburg Austria but with this blog you’ve given us an awesome glimpse of what is stored for us. Loved every place you’ve visit there and the food looks yummy. Especially the place where you stay is incredibly beautiful, the architecture is a top notch. Wow! I had no idea at all how much there was to do and see there. I need to go! The architecture and vistas alone are spectacular, but there’s so much more than that! 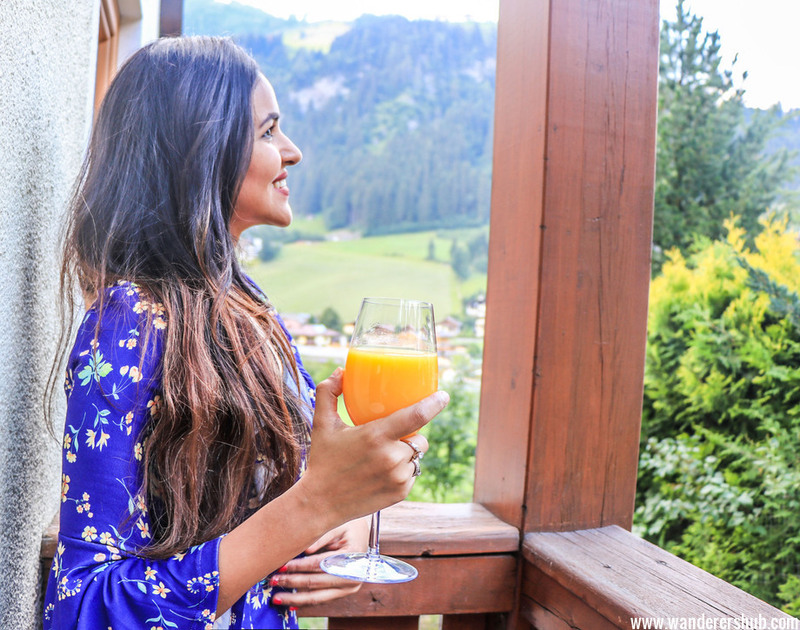 I didn’t know there are beautiful places and fun activities to try in Austria. The place looks so lovely! Austria is definitely high up on my list of places I want to go one day. Your pictures were incredible by the way, so vibrant and beautiful! What an elegant old World city! I would love to visit there and if I do I now know exactly where to go and what to do! 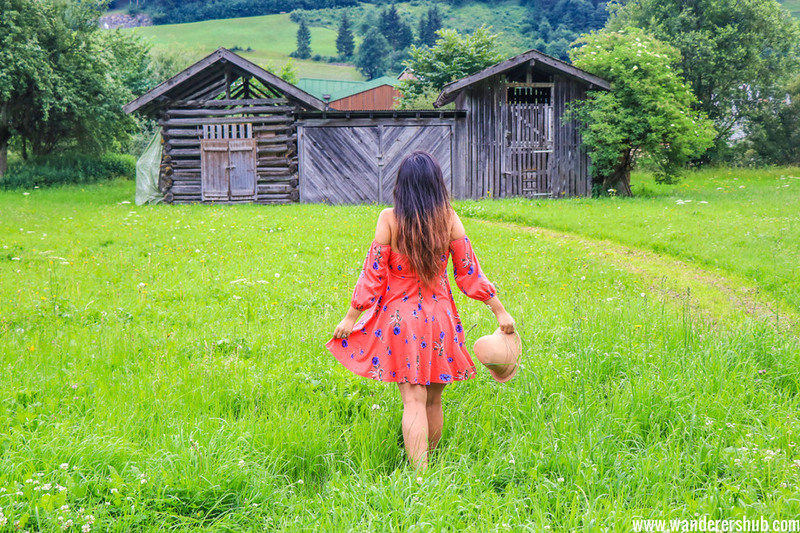 Thank you for this amazing blog post! It looks like you really enjoyed Salzburg and had a lot of fun. We are happy to read that you liked the city very much 🙂 hope to be able to welcoming you back someday! The fields! The apartments!The garden! The architecture!The whole place is just epic! I must agree that Austria is paradise and your pictures show just that. And you are looking too lovely too! I am yet to visit Salzburg but it is definitely but it seems like such an incredible place to visit and that place looks absolutely amazing to stay. Salzburg looks amazing in your pictures. I would love to visit it one day, especially the riverboat. What gorgeous pictures you have here of Salzburg, Austria.